We may be headed toward a Steam Machine vs PS4 vs Xbox One future, but the way Microsoft Studios chief Phil Spencer tells it, he has nothing but respect for Gabe Newell's club. "I think Valve is an incredible company," Spencer said during an on-stage interview at GDC. "They've been the backbone for PC gaming for the last decade. As a Windows company, I appreciate what they've done. In many ways, they focused more on PC gaming than we have." He added "a renewed focus on Windows and PC gaming inside Microsoft is definitely happening," but the Redmond firm, literally a neighbor of Valve offices, isn't refocusing just to compete. Rather, "we understand that as a platform holder, it's important to invest in gaming in our own way, and treat it as a tier one platform." Spencer said Valve's decision to generate Steam Machines "makes sense for them" from a business standpoint. Users buy tons of Steam content, so why not sell machines that can access that content, too? At the end of the day, the Microsoft exec said his company learns from the likes of Valve, Sony and Nintendo. "I look at more people in the space as a good thing," he said. Xbox One sales have been slightly behind the PS4's, but the launch of blockbuster title Titanfall is expected to boost figures. 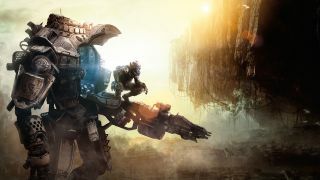 Spencer didn't have the numbers - or wouldn't share them - of how Titanfall has helped move Xbox One hardware, but he did say Xbox Live had its biggest week when the game launched. The question, Spencer said, isn't so much whether Titanfall did its job to help boost Xbox sales, but rather if gamers were entertained. He noted he's happy for the success the Respawn team has had with the game, and said there's a piece of larger significance to consider. "Fundamentally it's great because we've seen the birth of a new franchise." Spencer and Microsoft may be headed towards new horizons and new rivalries, but there are few problems from the Xbox One's past they just can't escape. Interviewer Kris Graft of Gamasutra brought up both the always-on brouhaha and Microsoft's position on Xbox One self-publishing, and Spencer deflected that in the case of the company's "reversals," it was really a matter of messaging and presenting a cohesive story to developers and consumers. He did concede that when it came to always-on, things could have been handled differently. "In hindsight, we could have been more clear and concise about what our real sole around the product was," Spencer said, though in the end it proved a learning experience. C'est la console launch, we suppose. Microsoft may make a VR headset. Yes, it's true.